We are located at Wolf Creek Resort in Eden Utah. Our Wolf Creek rental condos & vacation homes are privately owned and have different amenities. Our lodging properties have free wireless internet connection (Free WiFi), satellite or cable TV, and fully stocked kitchens. Many of the condos & homes also have grills, multiple decks, fire places, Jacuzzi tubs and pool tables. Our getaways normally include a hot tub, so you can relax and soak muscles after a hard day on the slopes. My favorite local beach is beautiful Pineview Reservoir. Try to hit the waters early in the morning for glassy conditions. You can boat, kayak or paddle board with the Wasatch Mountains as a backdrop. Pineview offers awesome opportunities for water sports including fishing, water skiing, jet skiing , kayaking, paddle boarding, and wake boarding. This lake is completely surrounded by mountains, so the wind is minimal and the water is usually calm, especially on weekdays. The lake has great sandy beaches and paved launch ramps. Pineview offers a unique blend of sport fish, including smallmouth bass, crappie, perch and bullhead catfish, and trophy-sized tiger muskie. Tigers are a hybrid blending muskie with northern pike. They grow large and attack lures aggressively. The Utah state record tiger muskie, a 49-inch fish that weighed 33 lbs, 9 oz, was caught in Pineview. The South Fork of the Ogden River flows out of Causey Reservoir through the surrounding canyon, and into Pineview Reservoir. You can catch brown trout, cutthroat trout and rainbow trout on the South Fork. The South Fork has relatively consistent flows and water temperatures, thus produces excellent hatches and, some large trout. The South Fork of the Ogden is one of the few streams in the state that is home to the famous salmonfly. Although present in other local waters, this insect typically emerges during peak runoff, rendering the hatch unfishable. As a tailwater, however, the South Fork is not often affected by runoff, making the salmonfly hatch worth a visit. Endless alpine trails in Ogden Valley offer great hiking, biking & horseback riding, this four-season resort area truly has something for every family! This years Ogden Valley Balloon & Artist Festival is August 16 to 18, 2019. The festival has morning balloon launch and rides, fine art exhibits, breakfast, craft & food booths, kids games & kids rides. There is also a evening balloon glow with live music. Come say in a condo and watch the balloons rise from the valley floor from your deck while enjoying breakfast on the deck. We offer large family reunion vacation rentals in Utah perfect for a large family or group who want to stay together and enjoy all Utah has to offer. Gather the family in a spacious vacation home near 3 ski resorts, lake and mountain sports. You have many choices for endless summer and winter family activities including hiking, mountain biking, river rafting, fishing, skiing, snowboarding, and more. Enjoy your next Utah family reunion in our beautiful vacation homes and condos. Powder Mountain is consistently ranked the #1 Value Ski Resort in North America by the readers of Ski Magazine—also ranking 9th best by readers for Overall Satisfaction this year. The Resort also offers snowcat skiing, side country skiing in Powder Country, backcountry tours and two terrain parks. Powder Mountain has added two new lifts and over 1,000 acres of lift serviced terrain this season, pushing their in-bounds skiable terrain to a massive 8,464 acres covered entirely by the greatest snow on earth, direct from Mother Nature. Instead of packing more people into the resort, Powder Mountain is now limiting lift ticket sales to 2,000 per day ensuring the lowest skier density of any major ski resort in North America. 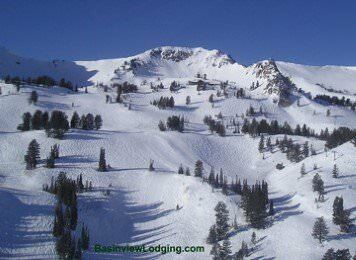 Your powder paradise is waiting just an hour from Salt Lake airport! Snowbasin was once again ranked in the Top Ten with recognition in four categories. #2: On Mountain Food, #4: Service, #7: Lifts, and #10: Weather. 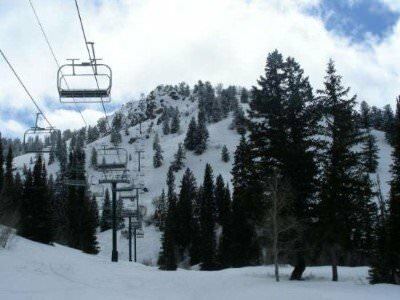 Snowbasin is just far enough from the Cottonwoods and Park City to keep it out of the limelight, and its 3,000 vertical and 3,000 acres of uncrowded terrain make it the perfect escape from the hustle and bustle. Snowbasin has plenty of groomers, but the secret to Snowbasin lies in exploring the snow beyond the corduroy. Check out the terrain off the Strawberry Express Gondola. It’s packed with mellow to advanced open slopes to practice your off-piste technique. Nordic Valley Ski Resort (formerly Wolf Mountain) is an affordable option for those anyone learning to ski or Snowboard. If you just arrived in town and want to warm up your legs and get acclimated to the higher altitudes Nordic Valley is your best option. Nordic Valley has a new terrain Park or those just getting started and is great for families. The entire mountain is lighted making it Utah’s largest night skiing operation. Nordic Valley has several challenging runs making it a great for the entire family. It has a parent-friendly attitude making it popular with local kids, teens and families. If you're relocating to Ogden Utah area, we also offer furnished relocation housing, which is perfect as you settle in during your relocation transition. Our relocation housing is also great for corporate housing, transitional housing for displaced families, insurance housing, and furnished government housing. Relocating can be a challenge, but it doesn't have to be. Our homes and condos are move-in ready and fully furnished with everything you will need for a hassle-free relocation. Whether you need a small condo or a large home, we can accommodate your needs. We offer amazing temporary housing packages to suit any budget or location in the Ogden area.